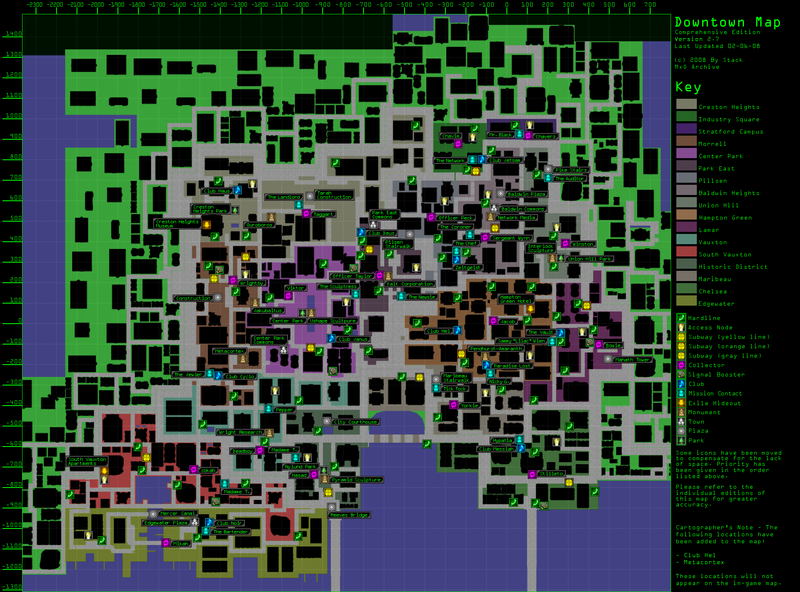 This map includes every hardline, access node, monument, subway, club, exile hideout, collector, town, plaza, and park. Some icons are not placed in their exact original locations due to space constraints. Icons for Metacortex and Club Hel have also been added, but they will not appear on the in-game map.